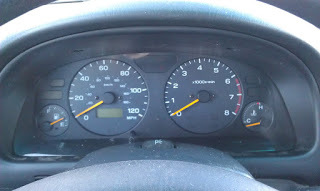 Like many older cars my dashboard instruments lights on my 1999 Subaru Forester are going out. A couple of the lights have been out for years. When I noticed that I couldn't see my speedometer one night, I figured it was time to fix. I called the dealer to figure out how much it would cost for service to fix. They quoted a price of $272 plus the cost of parts. Now, I knew that it would be expensive, but I really didn't think that it was going to be that high. After my recent expenditures on drain pipes (see previous entry), I really wanted to save a little money. And, I thought that $272 was a little high for changing lights blubs. The Internet is your friend. I did a quick Google search and found out it was really no problem to replace the lights blubs yourself. 5 screws, 3 connections, and a little time you can do this for the cost of the parts. I called the dealer back to get a blubs I needed. They quoted me a kit for $37 dollars. More blubs than I needed, but hey that will be fine with me. I have some extras that I can replace too. 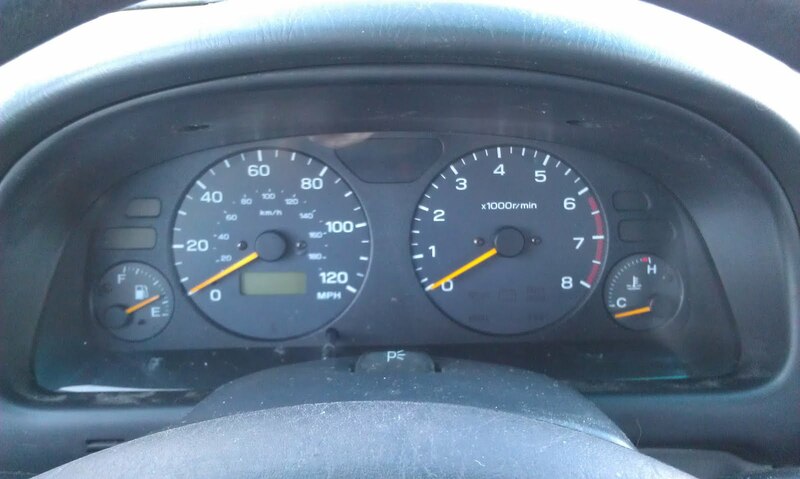 Why get into the instrument cluster more than I have too? The parts were ordered. I picked them up a couple days later. I estimated about 45 minutes for me to pull, change blubs and replace the instrument cluster back into the correct location. I followed instruction that I found here. It was easy. I would say that it took me 10 minutes to pull the part, a few minutes to replace the blubs, and then about 10 minutes to replace. So, I will say that it was only about a 30 minute job. It does take some patience to get the instrument cluster back into the location. I found going in at an angle helped as well as pulling the cable harness out a little to attach the connectors. Another recommendation would be to use the small shaft screwdriver vs. the standard shaft screwdriver. This helps for the 2 screws to remove the bezel and the top screw holding the instrument cluster in place. So that was it. 30 minutes of my time and $37 parts kit I saved $272. I bet you could even call around and get parts cheaper at a Kragen Auto, Radio Shack or a similar place.